Yoshinobu Kanemaru & Desperado vs. Volador Jr. & Soberano Jr.
Roman Reigns opened the October 22, 2018 episode of Raw by revealing that he's battling leukemia. After missing the weekend house show events, Reigns came out wearing street clothes and addressed the audience while using his real name. He announced that he's been living with leukemia for the past 11 years, and unfortunately it's back. Reigns then relinquished the Universal Championship. The most in-depth look at the Roman Reigns battle with leukemia is the lead story in the new issue of the Wrestling Observer Newsletter. Look at what is known about his first bout with leukemia, walk through the weekend, the turns done this past week, what happened throughout the day on Monday, who knew what and what kind of word was going around, a look at his interview, and candidates for the company's top spot position. Also look at Crown Jewel and Evolution, including business notes on the Evolution show, Hulk Hogan and Crown Jewel. Also look at Daniel Cormier and WWE and what it's all about, Cena book, more WWE injuries, next MSG show and why it's so important, shows this week, and the Tegan Knox injury. Examine the next month of NXT television, as well as a look at every house show from WWE and NXT from the past week with results, highlights and business info. Read about the proposed Ben Askren vs. Demetrious Johnson trade, the valuation of ONE, and why UFC would do this regarding an existing lawsuit. Look at the state of the NWA with its 70th anniversary show, including the Nick Aldis vs. Cody match, the aftermath, the rest of the show, the business notes and the NWA going forward. Kevin Kay, a huge figure in MMA history and to an extent pro wrestling, is out after more than 20 years with Viacom. Kay was running the Paramount Network, TV Land and CMT. 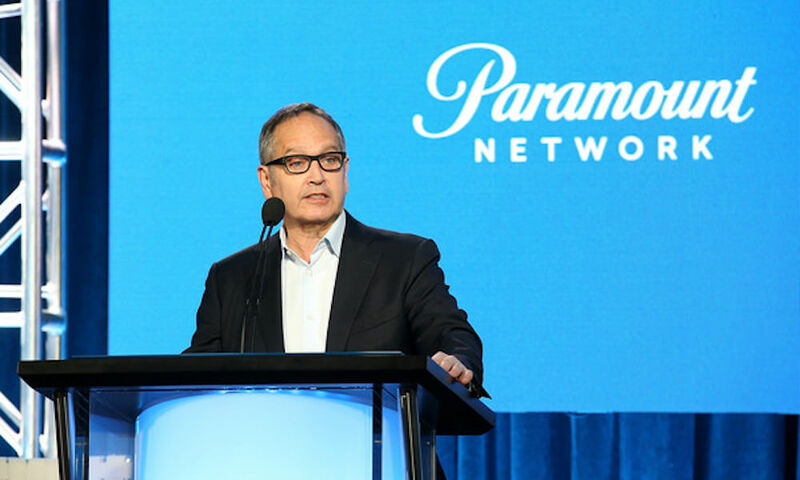 Kent Alterman will take over Paramount, TV Land, Comedy Central, MTV, VH1 and will also be the man in charge of Bellator. Key helped create the environment where Raw could command real money in TV rights in a 2000 deal with WWE, and also green lit UFC on television in 2005, TNA on television in 2005, and purchased Bellator. He literally saved TNA which was on the verge of shutting down, may have saved UFC and basically gave it life, and made Bellator stable. He was a big combat sports fan and his being out could lead to major changes in the future with a new person in charge of Bellator. Cody on Twitter kind of outright said he wouldn't be working the ROH/NJPW Madison Square Garden show in April. He wrote, "I am not on that show." It's notable also because the group of Cody, Young Bucks, Hangman Page and Kenny Omega have talked of sticking together. WWE has still not given any word on whether John Cena or Daniel Bryan will be on Crown Jewel now that it is officially on for Saudi Arabia. We're told that as of right now, Cena is still off the show and it will be addressed on TV this coming week with some type of storyline. 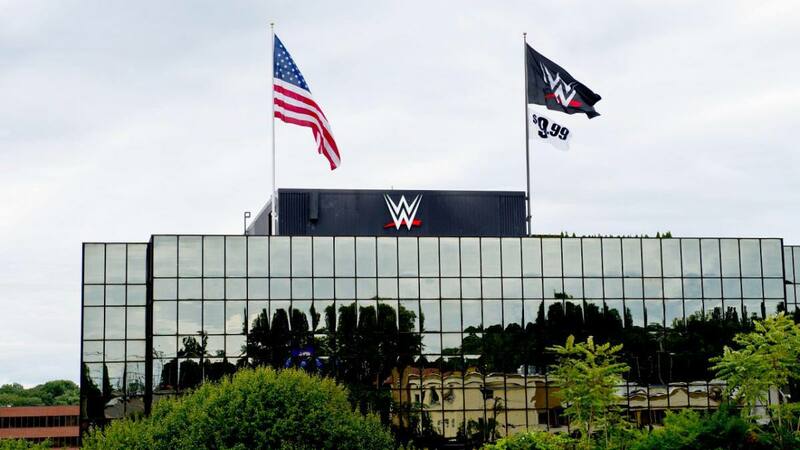 WWE stock improved somewhat since this morning's big drop caused by disappointment in revenues and surprisingly low live attendance and merchandise numbers and possibly reaction to the Saudi Arabia decision. The stock was as low as $74, but ended the day at $75.68, down $1.69 per share. ET Canada will be doing a feature on Trish Stratus wrestling Saturday and her life as a mom on Friday night at 7:30 p.m. on Global Television in Canada. Kurt Angle, Matt Hardy, Bobby Fish, Kyle O'Reilly, Adam Cole and Roderick Strong will be at Ringside Collectibles on 10/27 in Caroline's on Broadway in Times Square. The Undisputed Era will be there from 9 a.m. to Noon and Angle and Hardy from 1-4 p.m.
With the Megyn Kelly show not taping a new episode due to controversy regarding a statement she made about Halloween costumes using Blackface, which she defended, the appearance of WWE talent on her show today was canceled. Rey Mysterio Jr will be on the Jericho Cruise on 10/27 and 10/28. A story on NXT UK figurehead GM Johnny Saint. Dominick Cruz and Rashad Evans join Karyn Bryant on the desk covering Saturday night's Volkan Oezdemir vs. Anthony Smith main event from Moncton, NB. Alistair Overeem vs. Sergei Pavlovich has been added to the 11/24 show in Beijing, China. Pavlovich is making his debut on the show. Alex Oliveira vs. Gunnar Nelson has been added to the 12/8 show in Toronto. Derrick Lewis was on The Rich Eisen Show in Los Angeles to promote UFC 230. Luke Rockhold on his injuries from Submission Radio. Tom Lawlor vs. Sami Callihan in a street fight has been added to MLW's tapings in Cicero, IL on 11/8. MLW TV for tomorrow night on Bein Sports has Jimmy Havoc vs. Sami Callihan in a spin the wheel, make the deal match, plus PCO vs. L.A. Park in a crazy match. River City Wrestling on 11/2 at Turners Club in Kirby, TX with Jerry Lawler, plus Colt Cabana vs. Fallah Bahh, Rebel vs. Scarlett Bordeaux, Laredo Kid vs. Hernandez and more. MCW on 11/9 in Joppa, MD and 11/10 in Hollywood, MD features Ted DiBiase and Rosa Mendes. The 11/9 show is at the MCW Arena and 11/10 is at the Hollywood Volunteers Fire Department. Warrior Wrestling on 1/5 in Chicago Heights, IL with Brian Cage, Bandido, Austin Aries, Penta 0M, Rey Fenix, Ultimo Dragon, Super Crazy, Rich Swann, Tessa Blanchard, Jordynne Grace, Eddie Edwards, Moose, Andrew Everett, Matt Sydal, Ethan Page, Titan, Sam Adonis, and more. The Women of Wrestling promotion that debuts on AXS in 2019 will be both performing and participating in a panel at the L.A. Comic Con on 10/26 to 10/28 at the Los Angeles Convention Center. There will be matches on Saturday at 4 p.m. and a panel discussion on Sunday at 2:30 pm., and more matches after that. The Rise promotion has a download of the Mercedes Martinez vs. Tessa Blanchard match that has gotten so much talk for $9.99 at their web site. There is a four minute highlight package here. Brandi Rhodes vs. Indi Hartwell vs. Erika Reid is booked for the upcoming World Series Wrestling show in Melbourne in late November. AAW tomorrow night in Merrionette Park, IL at 115 Bourbon Street for Dia De Los Luchadores with David Starr & Eddie Kingston defending the tag titles against AR Fox & Myron Reed, Rey Fenix vs. Sammy Guevara, L.A. Park vs. MJF and more. AWS on 1/26 has announced Cheerleader Melissa vs. Shotzi Blackheart, Tyler Bateman vs. Mercedes Martinez, Jake Atlas vs. Matt Cross, Raze & Vipress vs. Christine Marie and Krissa Rivera and more. Brandon Vera defends the One heavyweight title against Mauro Cerilli on 11/23 at the Mall of Asia in Manila, The Philippines. Combate Americas announced on 11/17 a show in Monterrey, Mexico on DAZN, Univision and Univision Deportes. The show is at Gimnasio Nuevo Leon Unido and is headlined by Levy Marroquin (11-2) of Monterrey vs. Jose Estrada (5-1) of Oxnard, CA. ROH is putting tickets on sale tomorrow at 10 a.m. local time for shows on 12/15 in Philadelphia at the 2300 Arena, 1/24 in Dallas at Gilley's Dallas, 1/25 in Houston at the NRG Arena, and 1/26 in Austin, TX at the Austin Highway Event Center. Eve's She-1 tournament on 11/10 and 11/11 has announced three blocks. The A block has Jamie Hayter, Viper, Madison Eagles and Millie McKenzie. The B block has Kasey, Kris Wolf, Charli Evans and Rhia O'Reilly. The C block has Toni Storm, Jinny, Jetta and Commando Boilshoi. IPW on Saturday night in Des Moines, IA at the Forte Center has Wes Brisco & Malice defending the tag titles against James Jeffries & Sparrow.